Make random moments more fun with the Samsung Galaxy S10 Plus Dual SIM mobile phone. It features three powerful cameras with Ultra wide lens for shooting incredible pictures in any lighting conditions. This mobile also sports 10MP and an 8MP dual front camera that is perfect for capturing selfies at parties or functions. It sports a large 6.4inch dynamic AMOLED Infinity-O display that produces high-definition content at an incredible Quad HD plus resolution. This smartphone features a highly efficient processor and 8GB RAM that ensures you of fast and fluid operation. It includes a high-capacity battery for long hours of fun. With fast wireless charging 2.0 technology support, you can charge your smartphone in quick time. This mobile phone incorporates a revolutionary ultrasonic fingerprint, on-screen sensor and Samsung Knox technology to keep your mobile secure. With built-in Bixby AI, you can take pictures, make calls, automate tasks, and a lot more, with effortless ease. This Samsung Galaxy S10 Dual SIM mobile is designed to give you a theatre-like experience. It sports a 6.3inch dynamic AMOLED Infinity-O display that produces bright and colorful pictures at an incredible Quad HD plus resolution. This high-end mobile phone integrates stereo speakers and Dolby Atmos technology that lets you enjoy high-quality audio with astounding clarity, giving you the feeling as if you are inside the action. With eye comfort display, this smartphone reduces the blue light by about 42 percent without affecting the picture quality, so you can chat or play games late into the night with minimal fatigue. The front camera is ingeniously placed within the display without sacrificing the photo quality. All the more, the screen of this smartphone is constructed with sturdy Gorilla Glass 6 that makes it capable of withstanding the rigors of everyday use. Shoot incredible, blur-free pictures on the go with this Samsung S10 mobile. It sports three ultra-wide cameras with dual optical image stabilization that let you capture action shots with precision and clarity. The next-gen 16MP ultra-wide camera delivers an impressive 123-degree field of vision, allowing you to fit more in each shot. Moreover, this high-end mobile phone incorporates the 12MP wide-angle and telephoto cameras that let you shoot with 2x optical zoom in and out. It makes this smartphone the perfect choice for recording HDR10Plus videos. The super steady feature coupled with ultra wide lens correction keeps your shots away from distortion. This remarkable smartphone also features 10MP and an 8MP dual front camera with quick detection and live focus functionality for stunning self-portraits. 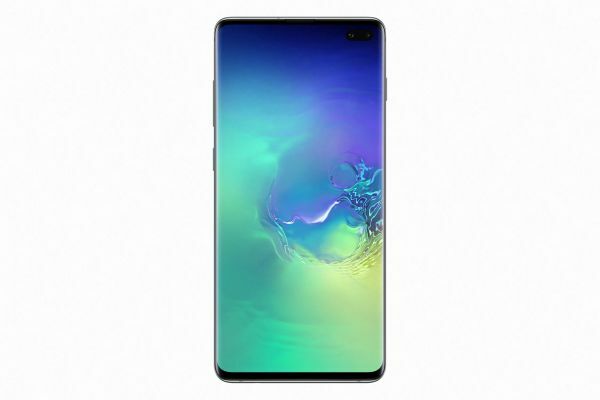 This Samsung S10 smartphone involves perfect engineering between hardware and software to deliver performance-enhanced gaming without lag. It features advanced AP and 8GB RAM for next-generation processing power, providing a smooth performance while playing heavy-duty games, live streaming videos, and more. With 128GB internal storage, this smartphone gives you extensive space for storing your captured shots, applications, games, and other essential files. Also, this mobile phone incorporates a helpful Bixby AI that will help you make your everyday life smooth. You can use it to automate tasks, make calls, and a lot more, for a naturally smart experience. Play more and worry less about the battery with this Samsung S10 mobile. It includes a high-capacity capacity battery that will give you long hours of trouble-free use on one full charge. With fast wireless charging 2.0 technology, you can charge its battery to its full capacity in quick time. This high-end smartphone incorporates wireless PowerShare technology that gives you the ability to share its power with compatible devices. This Samsung 4G LTE phone features a revolutionary ultrasonic on-screen fingerprint sensor that quickly detects your fingerprint for easy unlocking. The Samsung Knox technology built into the phone's hardware and software offers multi-layer security to keep your most sensitive information safe from malware and malicious threats. All the more, this top class mobile phone has both water and dust resistant feature to withstand the elements. Does this offer come with the additional things that Samsung is offering like the ear pods, 50% off accessories and 2 year warranty ? good phone. good battery life, good camera, smart and enjoyable.